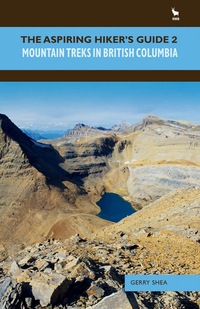 This first volume in The Aspiring Hiker’s Guide series is meant to encourage beginner and intermediate hikers, backpackers and scramblers to step into and explore the backcountry in Banff National Park, Lake Louise, Jasper National Park, Kananaskis Country and the Icefields Parkway with both confidence and excitement. Many aspects of venturing into these areas are investigated, including expert advice on gear, clothing, food and equipment; procedures related to safety and etiquette; and considerations as to physical fitness and first aid. Routes and trails are detailed with colour photographs and maps, GPS coordinates, elevation gain charts, distances, natural landmarks and tips on arriving at the destination safely. Best routes to summits are described in detail to prevent confusion and injury. 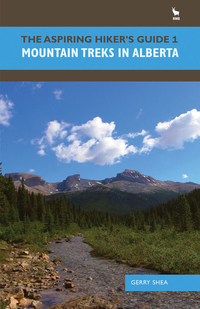 As well, the general histories of the trails, routes and naming conventions for some mountains are presented so as to add an element of understanding and intrigue as to what was experienced by the First Peoples and early European explorers who set foot in these beautifully wild areas of western Canada. 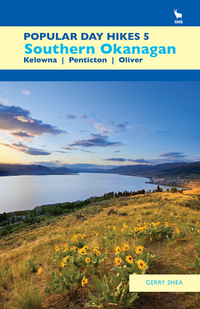 Gerry Shea moved to Kamloops from Vancouver at the age of nine, which is when he became enchanted by the nearby hills. It was on a family vacation many years later that he discovered the mountains and began hiking and climbing in his spare time, gathering knowledge and experience that he has since used to help beginning hikers, scramblers and backpackers to trek safely. Gerry lives in Kamloops with his wife and children and is the author of The Aspiring Hiker’s Guide 1: Mountain Treks in Alberta and The Aspiring Hiker’s Guide 2: Mountain Treks in British Columbia.